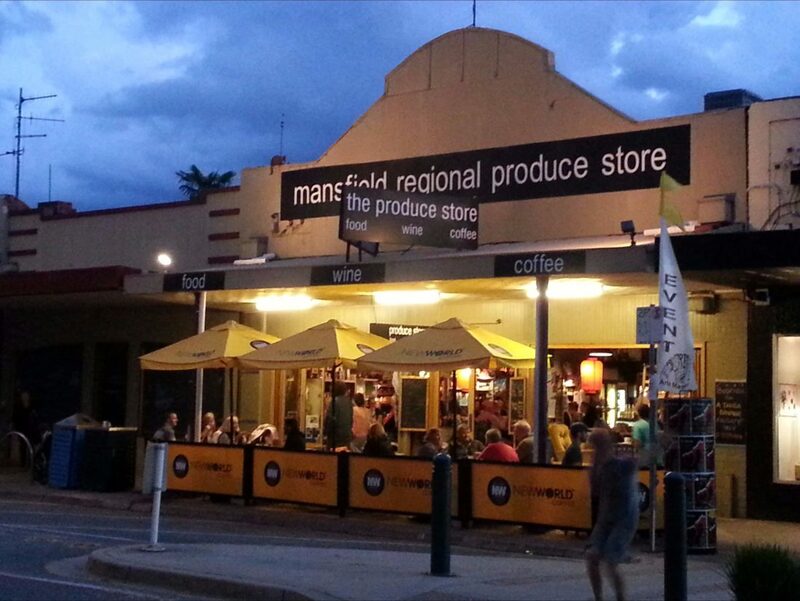 The Mansfield Regional Produce Store, known to locals simply as The Produce Store, is the place in town to eat, meet and relax. Located in the busy country town of Mansfield and only two and a half hours from Melbourne, The Produce Store is the perfect place to stop a bite to eat, a cup of coffee or a slice of home made cake. Built in 1895, the high ceilings and crafted rafters of their rustic building help create a wonderful ambience that you will discover the moment you walk in. Once inside it will be time to decide where to start. The Produce Stores shelves are loaded with local produce, gift ware and an extensive range of regional wines. They can also help you create your own picnic basket full of delicious goodies. Named as one of ‘the places to go’ in the Age Good Food Guide coffee trail, The Produce Store look forward to seeing you in the store next time you are in town.